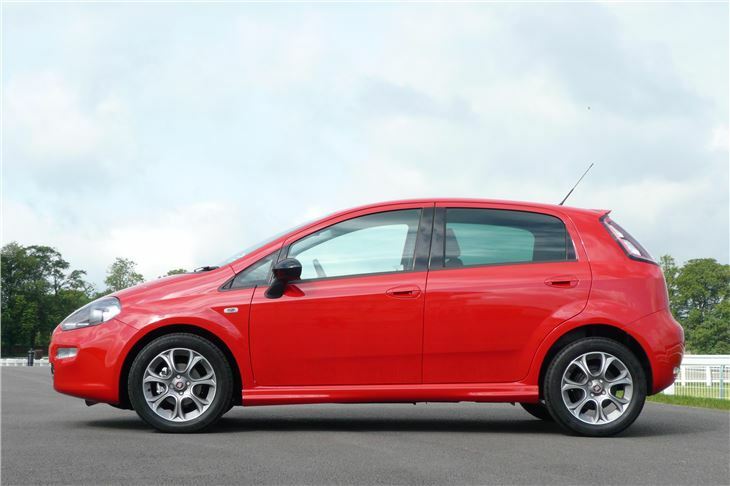 By adding ‘Evo’ to the name of its Grande Punto hatchback, FIAT meant ‘evolved’ rather than giving it some FQ ridiculous power output. Martin Gurdon tested that car here. And I tested it with some Abarth scorpion badges and a 155PS engine here. 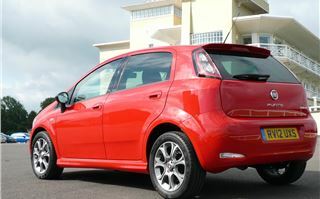 Now, for 2012, the Punto is back to just plain ‘Punto’. So please forgive me for calling it a ‘Grande Punto Evo’ in the video. 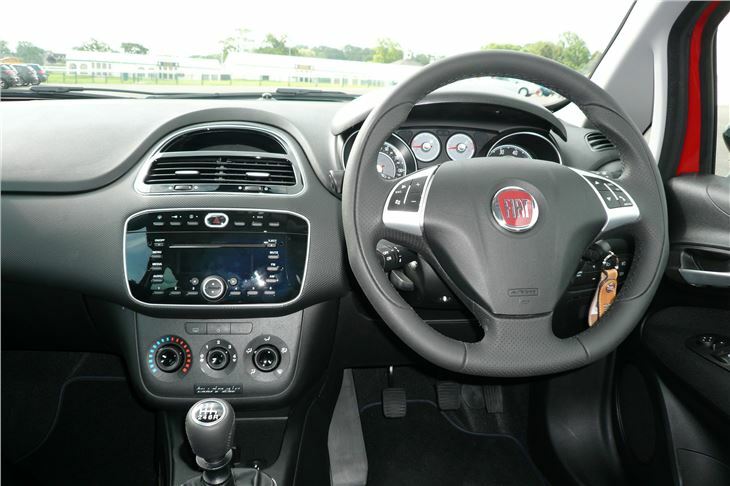 What’s new is mainly under the bonnet, in the form of FIAT’s diminutive 875cc two cylinder TwinAir turbocharged engine that pumps out 85PS at 5,500rpm, yet, in the EC tests, manages to emit a mere 98g/km CO2. That buys it a ‘get into London free’ card by exempting it from the Congestion Charge and also means zero-rate annual Vehicle Excise Duty (you still have to get a tax disc, but you don’t have to pay for it). 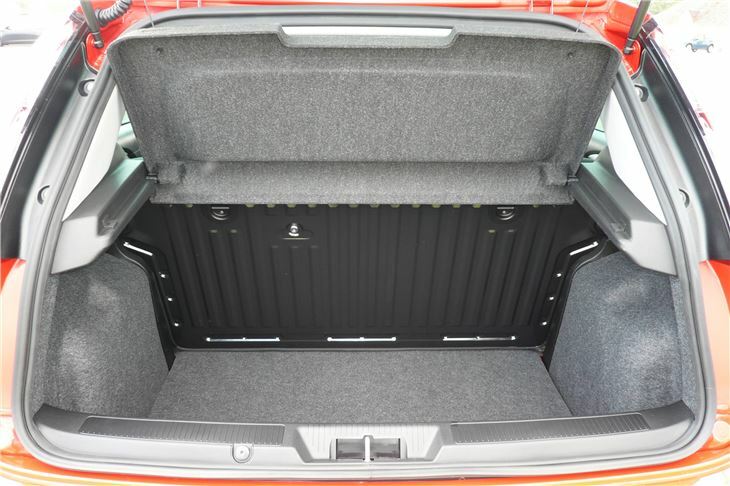 And, of course, the Punto is a proper 5-seater, with five lap and diagonal seatbelts, so five car-sharers could commute into London very cheaply, if they all worked the same hours in the same office. But does the car work? Not the first time you take off out of a road junction. What happens is the rev counter whizzes round to 5,500rpm in first, then a giant pair of gloved hands seem to strangle it. They are slightly less sadistic in 2nd, allowing a full 6,000rpm. So, though this thrummy little engine likes to rev, the management won’t allow it to. Happily, you soon get used to that, and treat it like a diesel, short-changing up before the ‘SHIFT’ arrow appears in the dash display. Driving in that manner, at modest speeds, not exceeding the speed limits, but not wasting energy slowing down for corners, I managed a disappointing 46.6mpg over 39 miles. Disappointing because over the 1,400 miles before I arrives at the Punto TwinAir launch event, my FIAT 500 1.2 had averaged 50.5mpg. 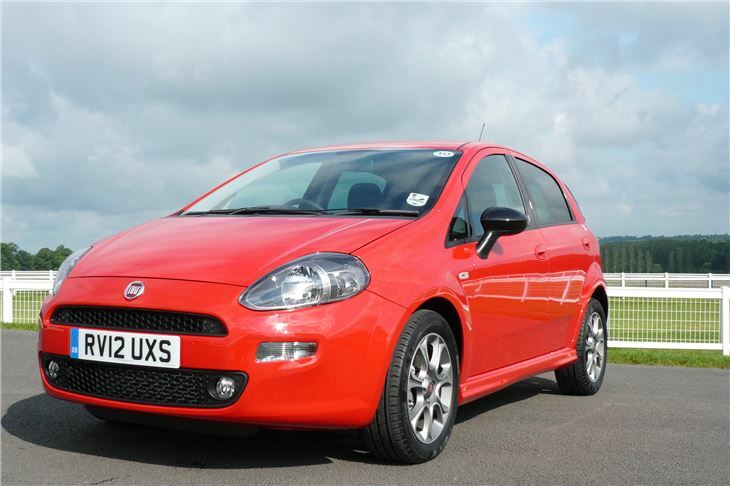 But that’s not the point of the FIAT Punto TwinAir. Beating the system is. 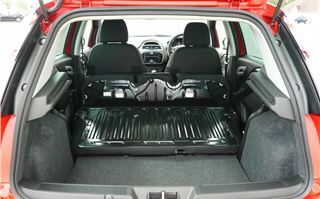 It’s a 5-seater. It’s free tax. It gets into London free. And it doesn’t have a dual mass flywheel or a diesel particulate filter to worry about. 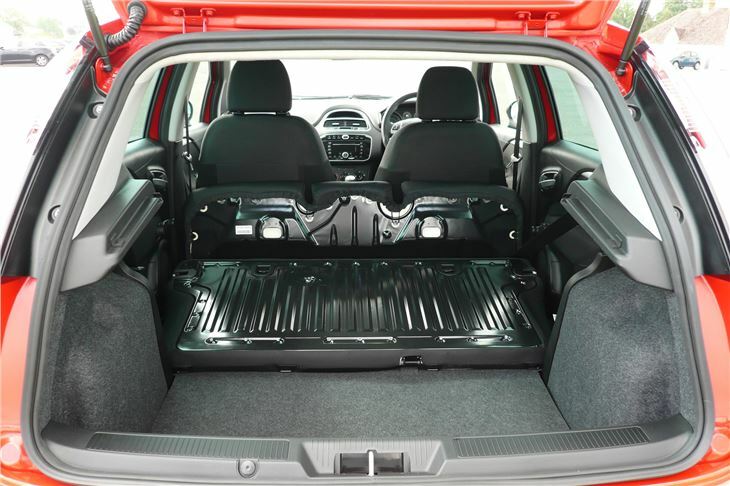 The latest FIAT Punto 1.3 Multijet does. But it only emits 90g/km (which might become important if Boris ratchets down the Congestion Charge exemption), but meanwhile translates into an EC combined economy of 80.7mpg. I don’t for a moment think that any real drivers will get anywhere near that. But 60mpg and maybe even 70mpg may be on their fuel cards. So for anyone driving big distances it might be worth shelling out quite a lot more money to buy a Punto Multijet. On gooey, deep profile 195/55 R15 tyres they ride well and handle very decently. Important when driving on any UK roads that have not been re-surfaced for Olympic bicycle races. 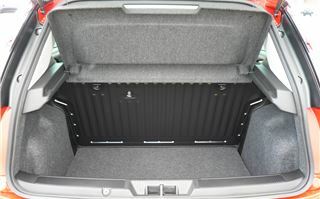 The trim is much nicer than found in FIATs of the past. The seats are comfortable. 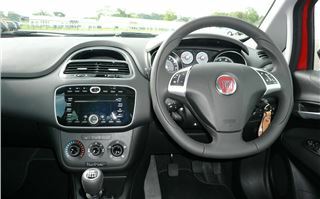 There’s up and down and in and out adjustment of the steering wheel, though some positions can obscure the speedometer. As a driving experience the car is wholly satisfactory. 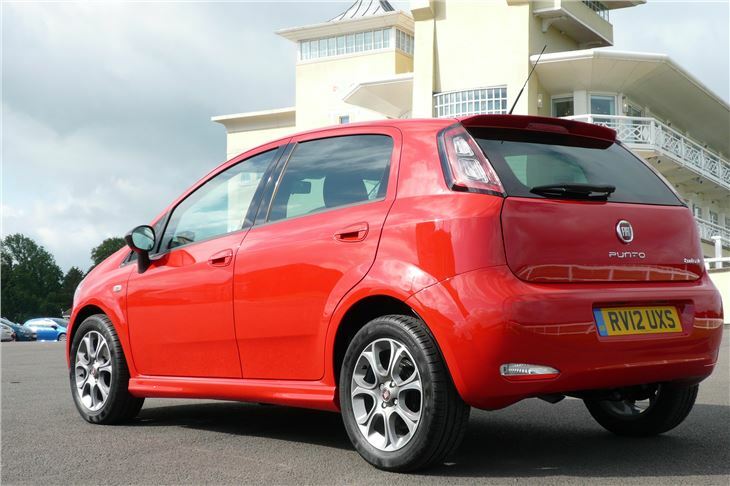 3-door 2012 Puntos with the same old-but-economical 1.2 petrol engine as my 500 start at £9,900, with 5-doors from £10,500. 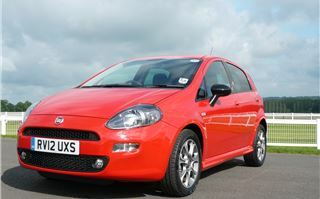 Punto TwinAirs with higher spec start at £12,100 and £12,700. 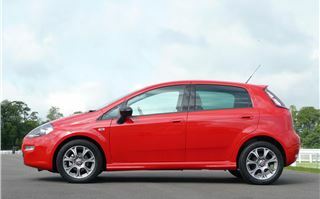 While 85PS/90gkm Punto Multijets start at £13,400 and £14,000, or at £15,000 or £15,600 for the same spec as the TwinAirs. Quite a stiff premium for the diesels. But probably a real world 20mpg advantage on the motorway. So, if you do 20,000 miles a year, your fuel bill will be about £900 a year less.